We have some cool news today. 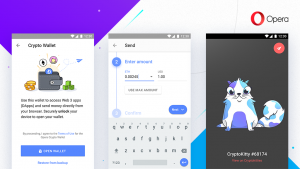 Our new blockchain-ready browser with a built-in crypto wallet is now ready for download! Taking this step, we want to empower Android smartphone users with an innovative browser that gives them the opportunity to experience Web 3 in a seamless way. We also want to invite all tech enthusiast who may have heard of blockchain but haven’t yet experienced it to simply give our new browser and Web 3 a try. We have made it extremely easy. Our hope with this launch is that this step will accelerate the transition of cryptocurrencies from speculation and investment to being used for actual payments and transactions in your daily lives. 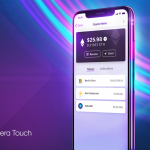 Until now using cryptocurrencies online and accessing Web 3 required special apps or extensions, making it difficult for people to even try it out. Our new browser removes that friction. 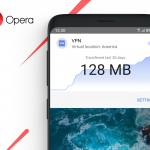 You can now use Opera to access these emerging Dapps. We’ve decided to support Ethereum, as it has the largest community of developers building Dapps and has gathered a lot of momentum behind it. 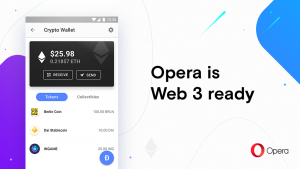 Opera with Crypto Wallet supports the Ethereum Web3 API, making interaction with these Dapps seamless to the user. We believe all browsers will eventually integrate some kind of wallet, which will enable new business models to emerge on the web.